But Going Rogue & Truly Living Your Purpose Makes It Six, or Even Seven-Figures Better. The purpose-driven business that you desire to be the leader of, hasn’t yet fully materialized in a way that’s in total alignment with who you are, and the lifestyle that you want your business to support. Your business is not yet fully aligned to your WHY. You’re here to realize your higher purpose; you feel it, and in some ways you’re living it already, but it hasn’t fully materialized in a way that is in total alignment from the inside out, and is fully unleashed, to support the life you desire to live. It’s the purpose written on your heart and the biggest reason you became Owner & CEO of your own business. You admired other entrepreneurs who built their businesses successfully, so you may have tried to do the same by following their exact paths. It feels way more challenging than it should be, and you are left asking why it worked for them, but not for you? You followed their system. And you found yourself spending more and more money to keep up with trying “all the things.” You learned some things along the way, but are still overwhelmed and are now hitting another wall… you still aren’t doing YOU. It’s because, most coaches aren’t equipped to guide someone like you, a purpose-driven badass, to fully realize and unleash your true greatness, because work like this requires deep personal transformation from the inside out, and let’s be real, that’s a lot more work and effort than teaching you a step-by-step marketing system. And, this is why a lot of people end up frustrated after investing tons of time trying to figure it out on your own, or maybe even thousands of dollars in program after program, coach after coach, that doesn’t help you get to root of WHO YOU ARE, and guide you in creating your unique one of a kind business. This is because those other programs you can buy are created to teach you only ONE way, they are not designed to guide you in discovering your own way. 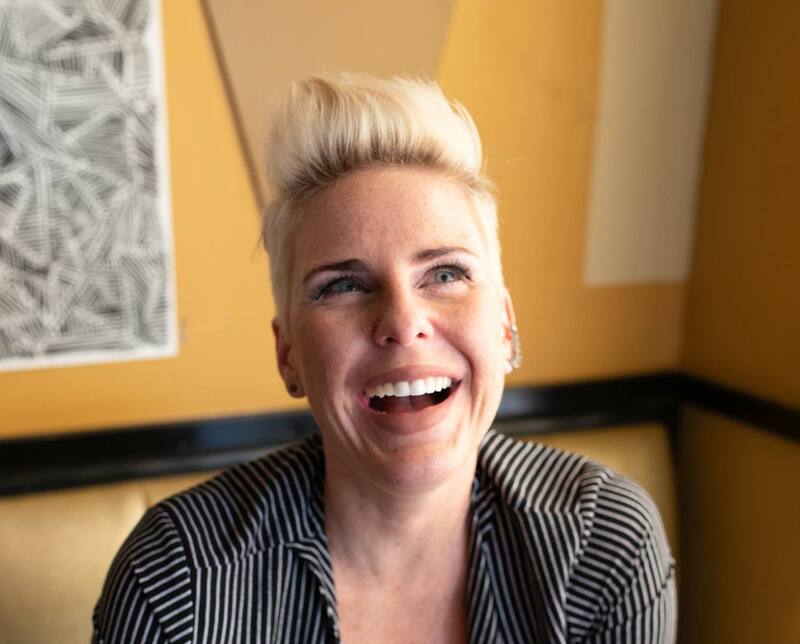 As a heart-centered, deeply purpose driven, badass powerhouse, you will not find success playing by someone else’s rules or trying to fit someone else’s model for profit…. I get it, you have bills to pay, and you aren’t sure how to shift gears into fully unleashing a profitable brand and business model that is the authentically YOU, so it’s understandable that you found yourself here…. Your income might be at a comfortable level that you no longer feel like you have to do whatever people will pay you for… or you might not be comfortable at all…. One thing is certain: You desire to offer programs or services that totally fires you up AND makes a huge impact. It’s time to stop trading hours for dollars. But to make that happen, you’re going to have to go rogue and buckle up for a transformation ride that will leave you feeling more alive, aligned and fully unleashed than you ever realized was possible. I’m here to help you build a business with your heart, vision, and soul-purpose at the center, it’s the driving force of what creates your massive impact AND brings you massive profit. One that packs an impact like a punch. Because…that’s exactly what I did. I grew my business from a pipedream to a seven-figure revenue reality fast. In the beginning I compromised what made me special, and then I re-wrote that story, through a transformative process, I learned how to root out beliefs that were holding me back, and gained the skills and tools needed to fully unleash my greatest gifts, and get paid well for it. And damn, that feels good! Society used to value logic and efficiency. Emotion was viewed as weak, the feminine way as flawed, but, the world is changing. We are learning that the heart-centered way, is the way forward. I know all of this first-hand, because I used to push hard, I used to lead with my head, strategy and competition, and when I learned to lead from what was in my heart, I began re-writing my story. My work no longer had to be hard, but instead, I now lead with joy, ease, with love, caring and empathy, while confidently holding my rates, and closing more sales than ever before. Now is the time for heart-centered entrepreneurs, for healers, artists, and creatives to emerge. The world is changing, people desire to evolve, and they crave people like YOU to lead the way. I have a framework for creating an impactful business, in less time, and I want to share this with you. It’s not a step-by-step marketing system like the other programs that don’t work for you. It’s a framework that supports you as the person, supports you in mapping out your profitable business model, and helps you develop your unique and profitable brand. You are guided and supported through a framework that works for heart-centered, unique, badasses like you. You are supported in developing YOUR unique vision and you are guided through lessons along the way to help you fully transform into your authentically aligned business. 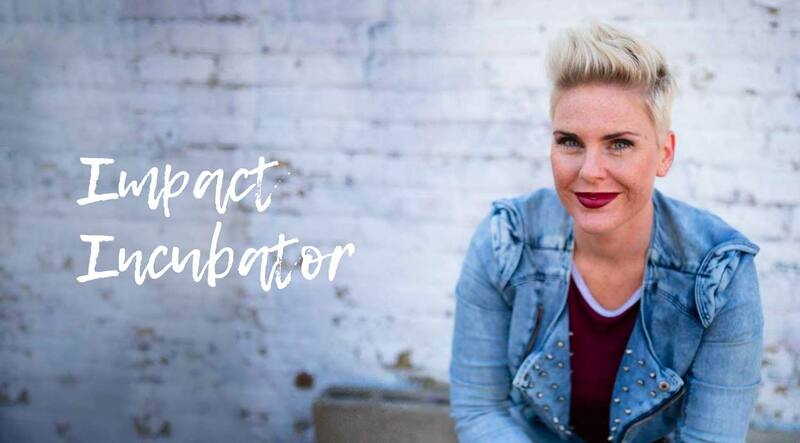 Introducing the Impact Incubator. In this program I guide you in claiming your vision, and developing a custom plan that is tailored to your soul’s purpose and formulated to build a successful business with integrity, that supports the vision you have for your life. It’s time to rediscover your soul’s purpose in this world, and reconnect with why you started this business in the first place. This is the ticket to up-leveling your income, by leading with impact. Business for good. Take a different path, emerge into the higher version that you see for yourself, and build an amazing business that’s undeniably YOU. I'm ready to live the life of my dreams! Transform your life, be more aligned. Create a bigger impact AND income, with greater joy and ease! 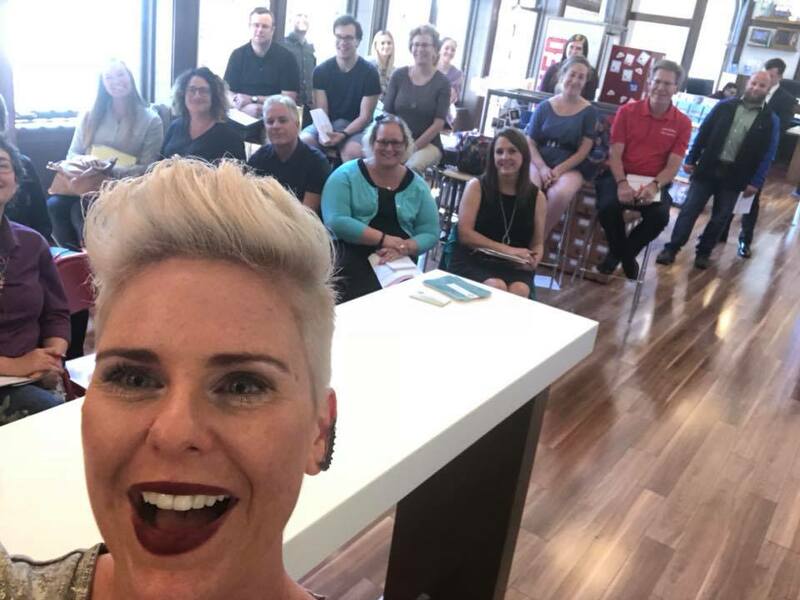 Here’s what you get..
It’s time to rediscover your soul’s purpose in this world, and reconnect with why you started this business in the first place. This is the ticket to up-leveling your income, by leading with impact. Business for good. Take a different path, emerge into the higher version that you see for yourself, and build an amazing business that’s undeniably YOU. Deliverables: From this module, you will walk away with a defined personal purpose statement, articulated values, and a defined vision for the life that you desire. In this module, many people discover and work through self-limiting beliefs that stand in your way from realizing your vision. The inner personal work done in this module will carry you through the remainder of the program, as we continue defining how your business model will support YOU in living the life you desire. Learn who your ideal target customers are, what truly drives their decision making. People buy based on emotions, and based on their desired outcomes. In order to match your passion to their need, it’s critical to understand your customers from the inside out, and in this module, you will be guided through a process to truly understand your customers, so that you can speak a language that perfectly aligns you, to your ideal client. Deliverables: You will walk away with defined customer personas, a clear understanding of your competition and how you are different, so that you can differentiate your messaging. Old business models favored logic and efficiency but viewed emotion as a weakness. They were wrong. Finally, the world is learning that the heart-centered way is the way forward. I know all of this first-hand because I used to push hard to ‘see’ results by leading with my head, strategy and hell-bent on beating my competition. But it felt forced and knew there was a better way that came with joy and ease. It’s not working for you either because you desire more than a ‘comfortable income’ or half-hearted monetary goals.Let’s rewrite your story. Allow yourself to lead your business with joy, ease, and empathy while feeling confident in your offer and rate. Lead with confidence and close more sales than ever before. Deliverables: In this module, you will develop your Brand Messaging and Positioning so you can sell yourself with greater ease. You will have a clearer plan for the products, services and offerings that you desire to offer based on your vision, matched with market opportunity. You know that there is a different business model that exists, one where you get paid to be authentically you, but making the transition alone isn’t easy. I get it, you have bills to pay, and you aren’t sure how to shift gears into fully unleashing a profitable brand and business model that is the authentically you. That’s why I’m here. Let’s unleash your genius, hash out an entire year of strategies, learn about the marketing tactics that are going to work based on your own customized plan, and allow yourself to lead your purpose-driven business heart first, clearly define your pricing plan, and strengthen your power to sell with integrity. Deliverables: In this module, you will finalize your product offerings, and pricing so that you can sell with greater ease. You will develop your 1 year marketing plan and business strategy so that you are equipped with a strategy and action steps to bring your vision to reality. Today is the day everything changes. It’s time to be the A in Authenticity, and the B in Badass, not basic.